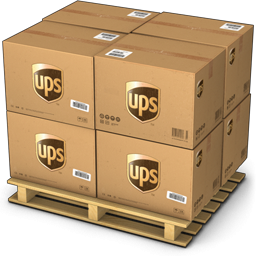 Two hearts joined forever - the essence of a beautiful romance! 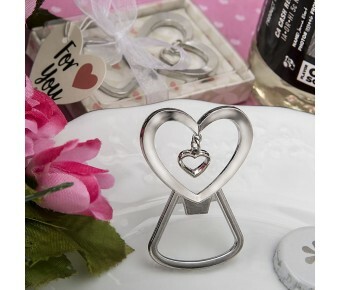 Celebrate your wedding, engagement, anniversary or other romantic occasion and offer your guests a lovely double heart bottle opener that they can take home as a keepsake. The bottle opener is made from caste metal with a shiny chrome plated finish. It features a modern heart design top opening with a little dangling heart accent in the middle. The bottle opener comes presented in a stunning ecru colored gift box with pink heart accents and a special 'For You' tag. 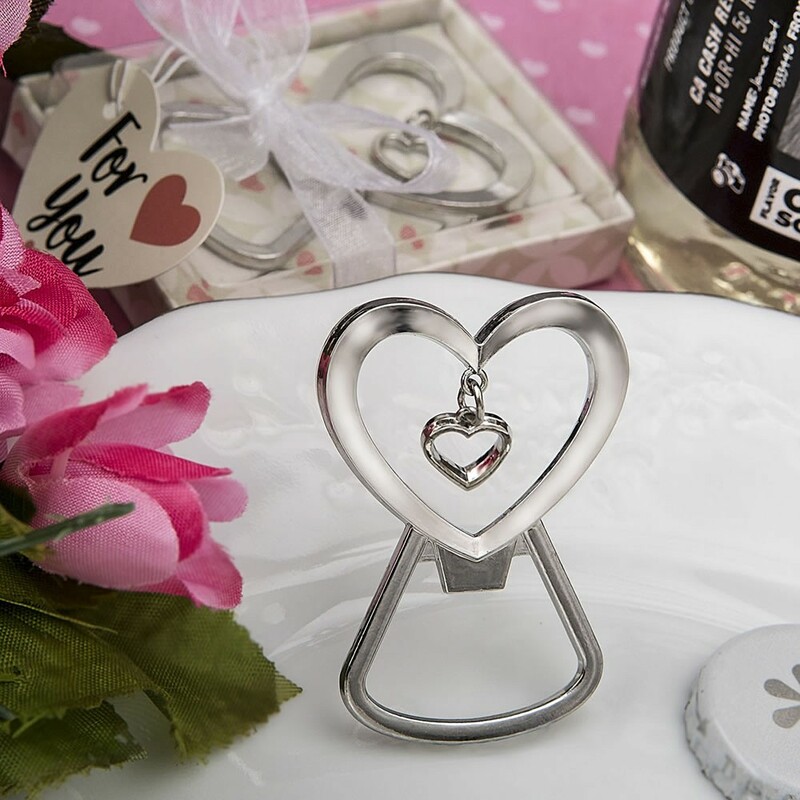 The solid construction makes this love themed favor a very useful gift that guests can use at the dinner table, as a bar accessory or outdoors at a barbecue.